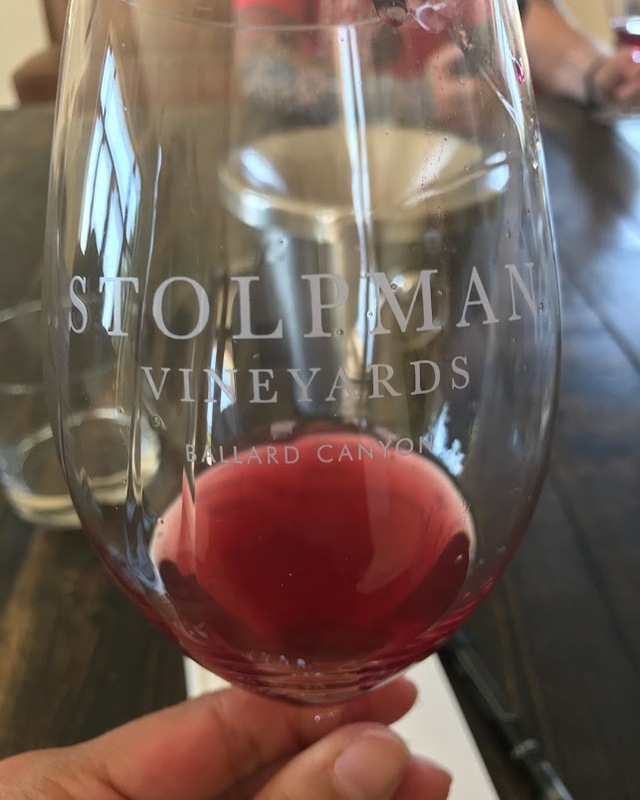 I first tried Stolpman’s wines when I moved back to California from Chicago four years ago, and I was in a phase of discovering just how good, how exciting California’s small producers could be. Jon Bonné’s the New California Wine was still pretty hot off the presses, and I was devouring it. I met Pete Stolpman at a tasting and his wines were balanced and complex and delicious at that first introduction, but here’s the thing: I honestly think they are getting better every year. 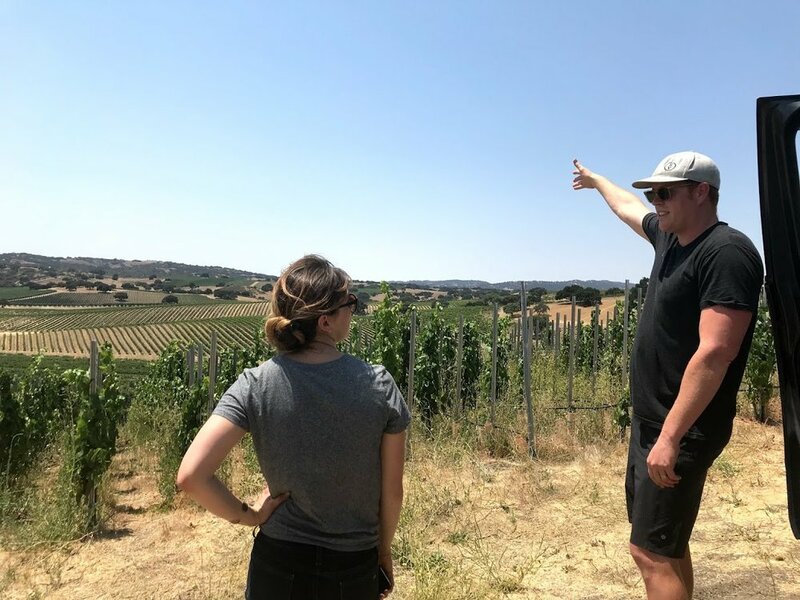 Recently, K&Lers Sharon Kelly, Diana Turk, and I had the chance to visit Pete and his grower, Ruben Solorzano, to tour their vineyards in Ballard Canyon and taste their wines. Not only did we get the awesome opportunity to ask questions directly to the grower while we were there among the vines, but we then tasted through a lineup of their new/upcoming releases with them, so we could connect the dots between what was happening in the vineyard and what was happening in the glass. What I learned is that Pete and Ruben are people whose wheels are always turning, who are excited about new ideas in both the cellar and the vineyard. About those vineyards. Wine people read and talk and write about terroir quite a bit, but it is truly a different story to be out among it. Ballard Canyon is a cool but sunny AVA, benefitting from its position next to the Sta. Rita Hills and the Pacific Ocean. Out there among Stolpman’s sprawling 220 acres, we could see hawks flying overhead in the bright July daylight and really feel how cool that ocean breeze is. It was a beautiful array of rolling hills, studded with California oak trees and an olive grove. Pete shuttled us around in his pickup truck to various spots, and we discussed the projects that they were working on—connecting the concepts to the actual plants. A particularly exciting one is a Mother Vine project, where a whole block of vines will slowly but surely be propagated from one vine by running it shoot-by-shoot through the soil and redirecting it to grow upward. Then repeat ad nauseum. There’s not another project of its kind in the U.S. that they know of, and at the end they will have an entire block of different generations from the same parent vine. This relationship has been the inspiration for several of their projects, including their La Cuadrilla (“the crew”) bottling, which was born when Pete went back with Ruben to Jalisco for a visit to his family (tequila may have been involved in this stroke of brilliance). They decided to dedicate a two-acre block for the crew to farm. Ruben considered it a training ground, supporting them, but letting them learn to cultivate it on their own. The fruit from this vineyard was made into wine, and was initially given to the workers. But the wine kept getting better and better, and they were eventually convinced to sell it. Now it sells out every year, and all profits go directly to the crew. Ruben wanted to learn how to make wine so that he could be an even better grower, and, in 2008, the Hecho Por Ruben label came from that effort. He’s traveled to work with vintners in Europe, worked closely with Stolpman’s former winemaker Sashi Moorman and international winemakers like Alberto Antonini and Michel Rolland, all to understand the relationship between his efforts in the field and what’s in the bottle. Along the way, he’s acquired the nickname “Grape Whisperer.” Since arriving in the U.S. at 19, he’s become a grape savant, a U.S. citizen, and a huge part of the local community—he’s a partner at Coastal Vineyard Care Associates, a landlord, and supplier of grapes to many of the iconic wineries around the area. His wife, Maria, is also integral to Stolpman’s operation. Pete calls Ruben’s wife the “unsung hero” of the vineyard. As vineyard manager, she’s in the field, heading the day-to-day operations and the crew. When Ruben and the Stolpmans joined forces to make a wine together, they named it Para Maria as an ode to Ruben’s wife. Pete took us all around the property. We could see the pond and the zipline where the family hosts barbecues. We could see the hills surrounding the vines and their neighbors, Jonata and Beckman vineyards. We could see their plots of new plantings, which are mostly Jura varietals that haven’t been bottled yet. We were able to ask Ruben all the geeky questions of our hearts’ desire about trellising and canopy and the like while getting a good sense of Pete’s vision for the winery. We then got to taste tasted through a lineup of wines that really showcased the freshness and complexity of the house style. We started with a just-bottled, golden Roussanne from the 2017 vintage—a “super punchy” vintage according to Pete. It was luscious and zesty with minerality and dried apricots, and incredibly refreshing after a day in the vineyards. The next wine was equally thirst-quenching: the 2017 Syrah San Soif: Syrah So Hot is their unfiltered, natural, carbonic Syrah. It was delicious! Light and buoyant like freshly pressed mulberry juice or blackberries straight off the vine, and juicy with hints of melon. We tried their 2015 Hilltop Syrah, which was perhaps my favorite in how spot on it expressed its grape. Brambly, herbal, and olive notes in the glass with good structure but graceful tannins—I accidentally stuck it in the fridge that night, thinking I’d grabbed the carbonic Syrah, and I was surprised at how well it drank with a chill the next day. We tried a Trousseau from their new, highly allocated collaboration with sommelier Rajat Parr called Combe, also super juicy and fresh with a sour cherry/baking spice quality and a lifted, svelte body. What a pleasure it was to get such a first-hand understanding of the place and the people. I always say that wine is great because it still provides a ton of pleasure even if you know nothing about it, but the more you learn: man, it’s so freaking rewarding. The way that Stolpman approaches their company, with integrity for the people and the vineyards and the vinification—I could see that in every step along the way. And I thoroughly enjoyed the wines. 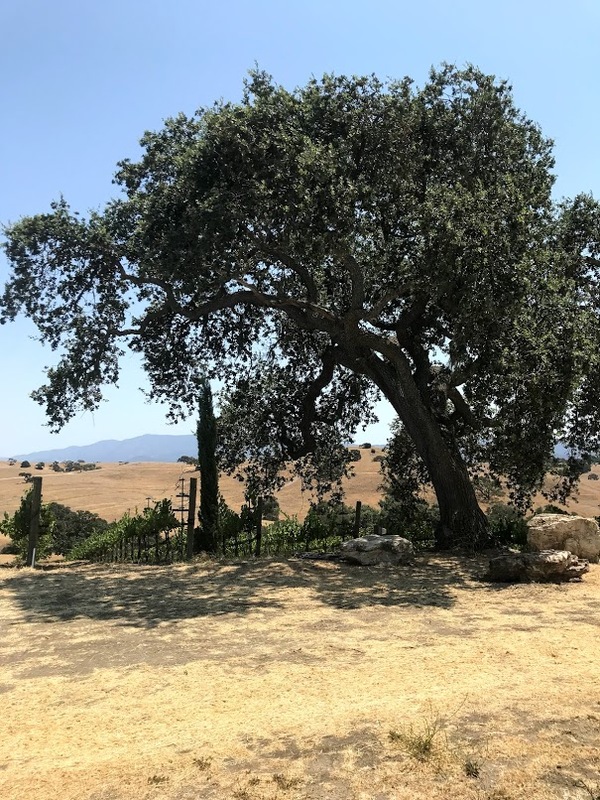 Stay tuned for Part 2 of our Santa Ynez adventure, a visit with Gray and Frank of Hitching Post II as they get set to launch their first tasting room! This dude was as tall as me!